In a move that came to a surprise to many of their authors, Eternal Press/Damnation Books and all titles under contract have reported been acquired by Alan Leddon of Spero Publishing. At least some of the related announcements for and communications with authors are occurring on their Facebook page. 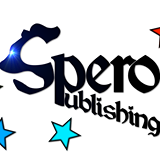 Spero Publishing seems to be a small publisher of children's and role-playing game books. There is not much to suggest an ability to easily onboard and skillfully market a large catalog of genre fiction. As an author with Eternal Press I wonder why this sale was not explained nor were many of us contacted by the new publisher? And I have at least one title that is no longer under contract still up for sale on their webpage. The unprofessionalism of the previous owner does my head in. I have been waiting over 6 years to break free from the disgrace this publisher has become. Hopefully the new owners will at least REPLY to emails sent, unlike the previous one.